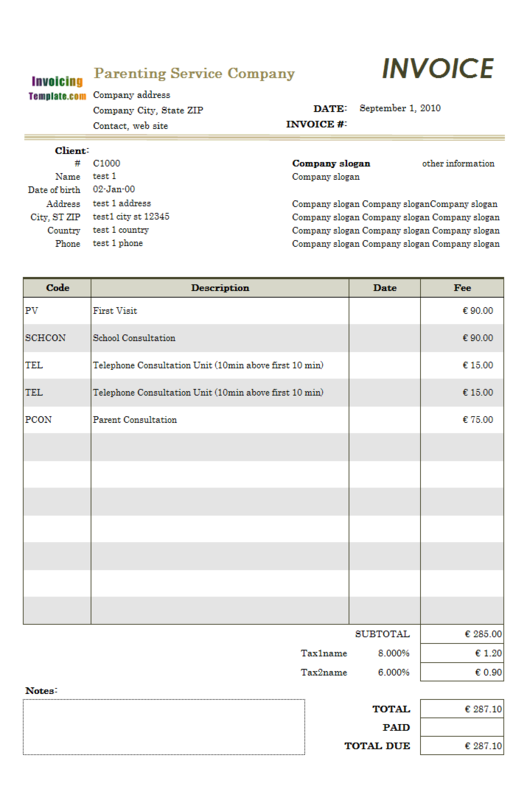 How To Make A Billing Statement Letter is a sub-topic of . 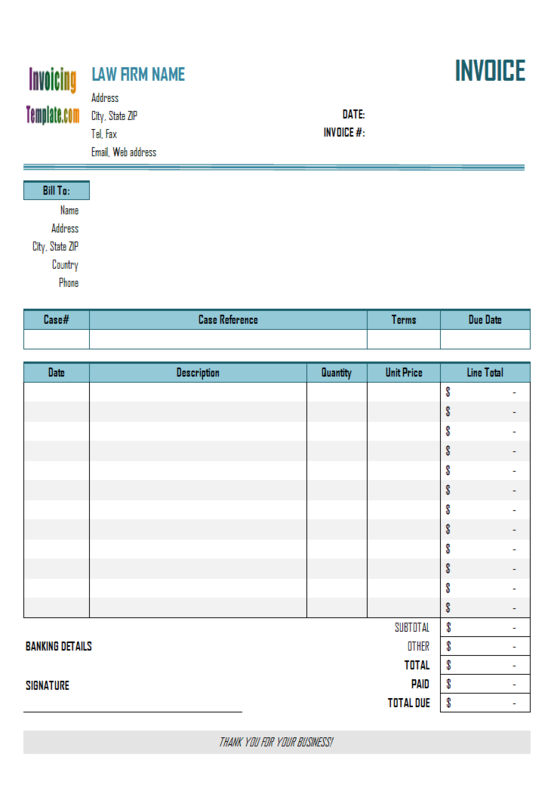 Here are our templates closely related to How To Make A Billing Statement Letter. 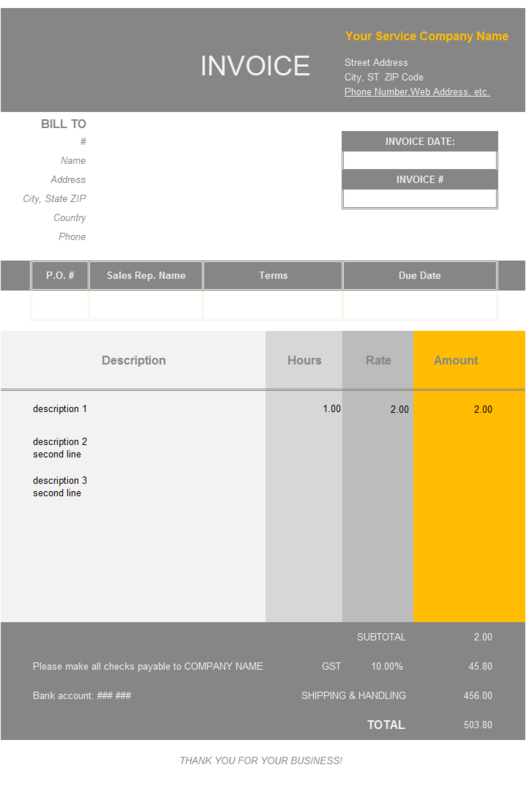 Like many other templates here on InvoicingTemplate.com, this section has a gray- square button without text on it. 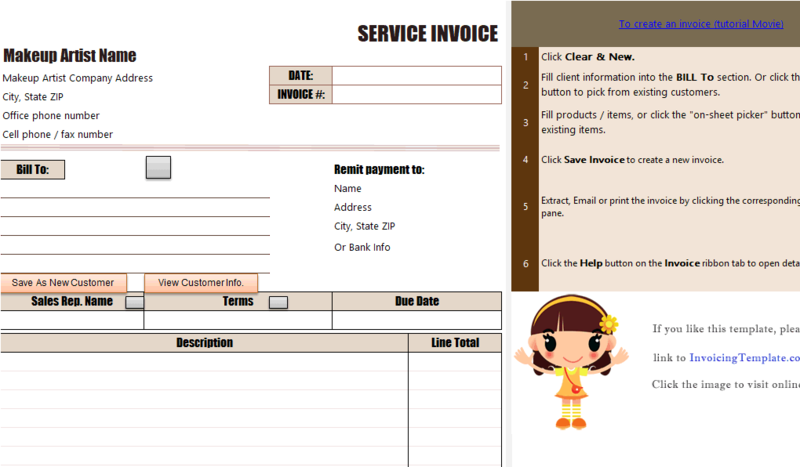 If you have used any of our templates, you know it is a "Click to select a customer" button. Clicking this button to bring up a list of existing customer accounts that you had already invoiced for. 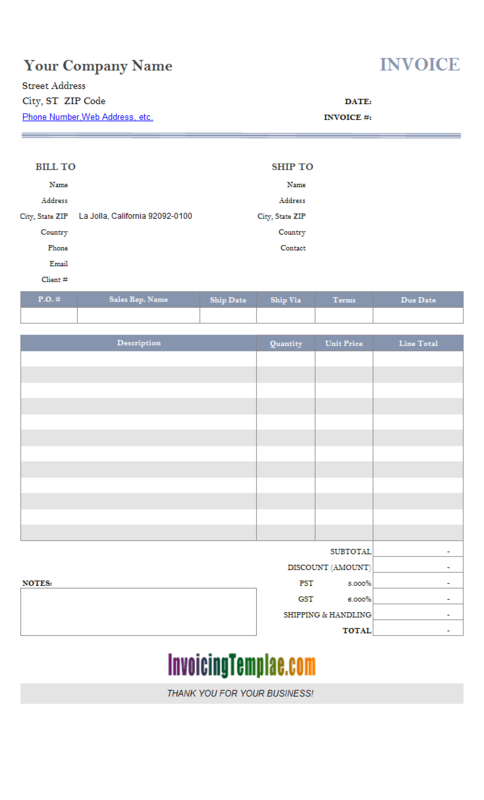 Double-click an entry on the list have all the customer's information populated into the "Bill To" section, including name, address, city, state and zip, phone, and all the other fields you choose to show on the form, such as email and other custom fields you created. 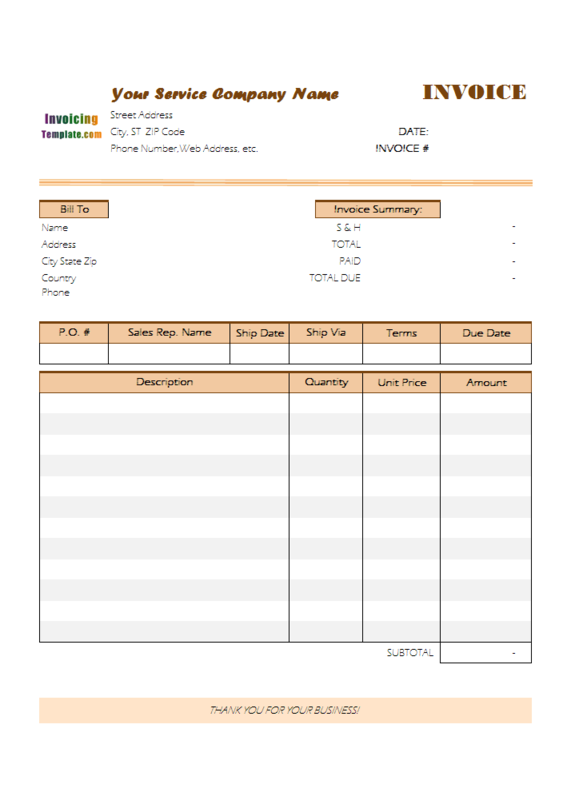 This template has two taxes like the default template shipped with Invoice Manager for Excel (namely Uniform Invoice Software). 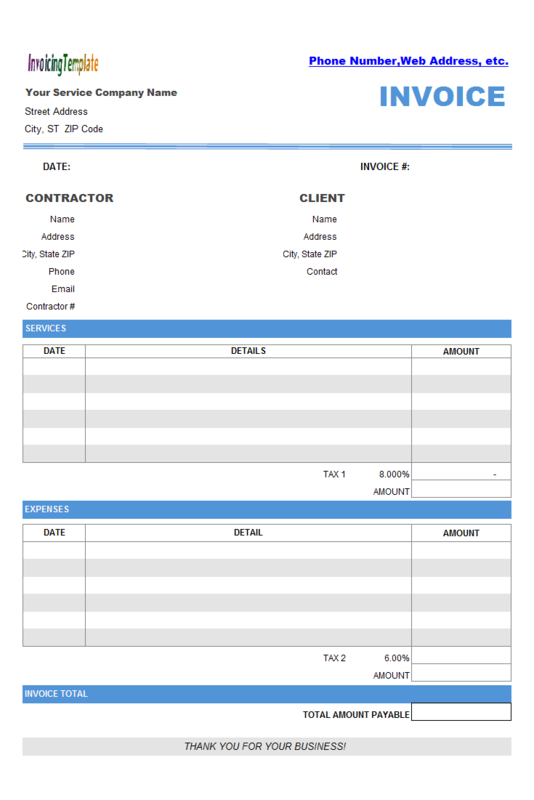 However unlike the default template, where the two taxes applied to all taxable items added to the invoice detail section, Contractor Billing Format applies each tax to one section. 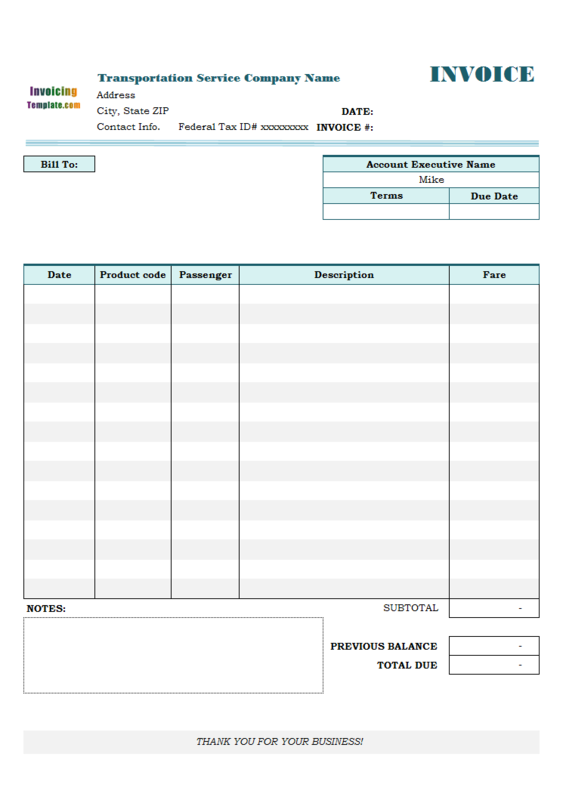 In this implementation, "Tax 1" was applied to the "Service" section, and "Tax 2" was applied to the "Expense" section. 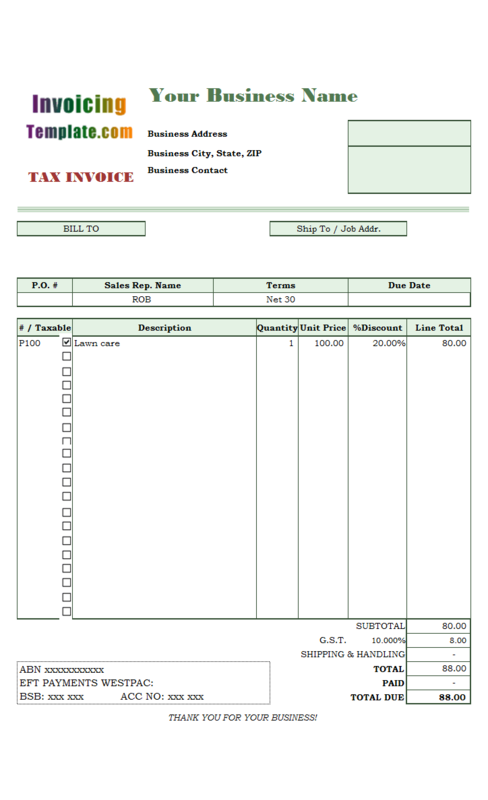 All the tax-calculation formulas are modified according to this design requirement. 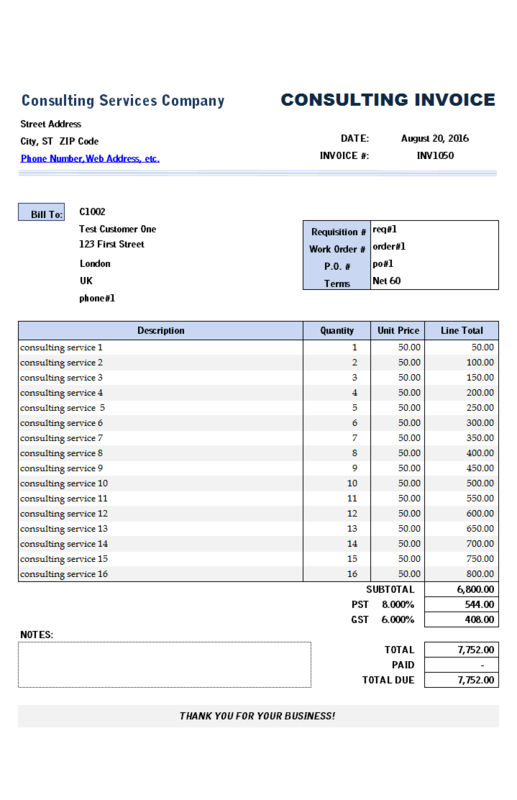 The image watermarks are placed on top-right and bottom-left corners of the spreadsheet form. 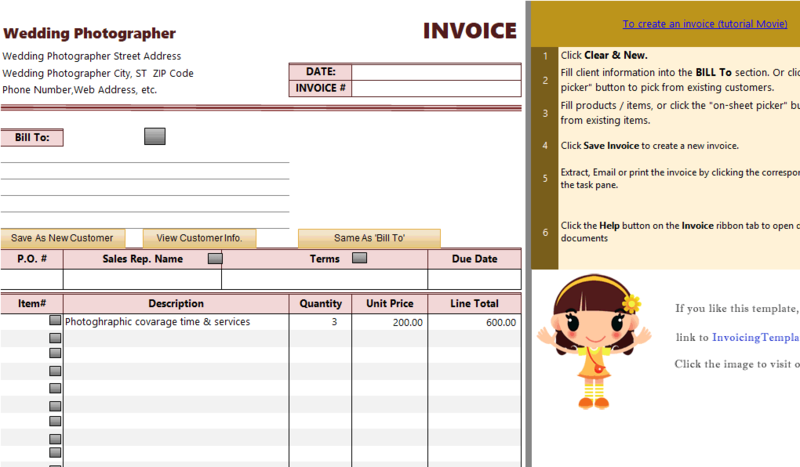 These are two cartoon images with the opacity adjusted to 20%, so that the foreground text labels, such as "Invoice#", "Invoice Date" and the total fields, are easily readable. Whether you are a freelance photographer or running a photography business, an expensive accounting software program for invoicing isn't necessary your best choice. 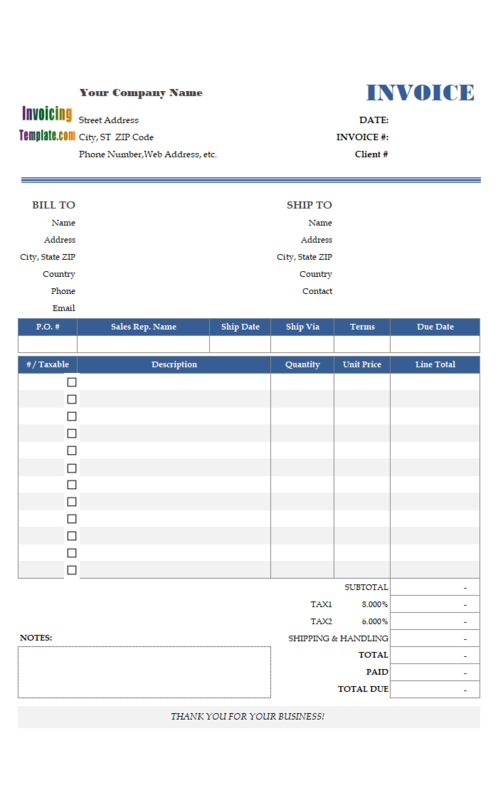 Download the tax photography invoice template to request payment for photography services and related work, such as photo editing or studio rental. 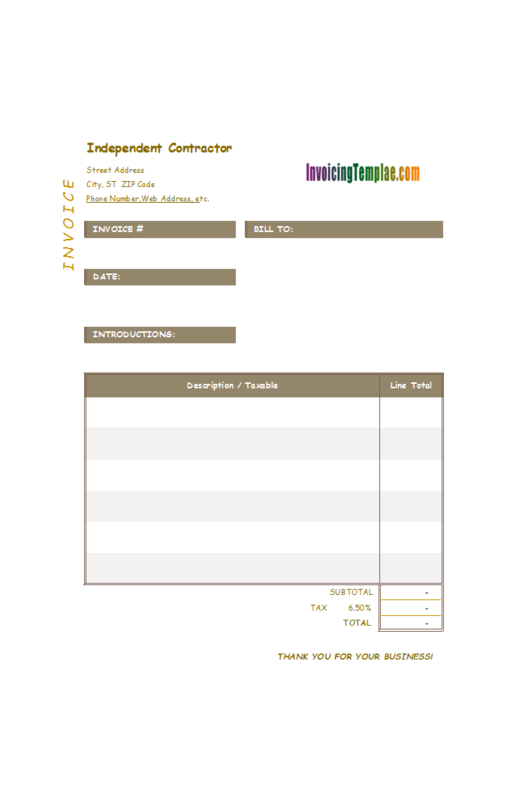 Download this free makeup artist invoice template to create professional bills and invoices. The form features a makeup artist head portrait on top-left, and cosmetics on the detail section. This easily tells what services you rendered even without a word. 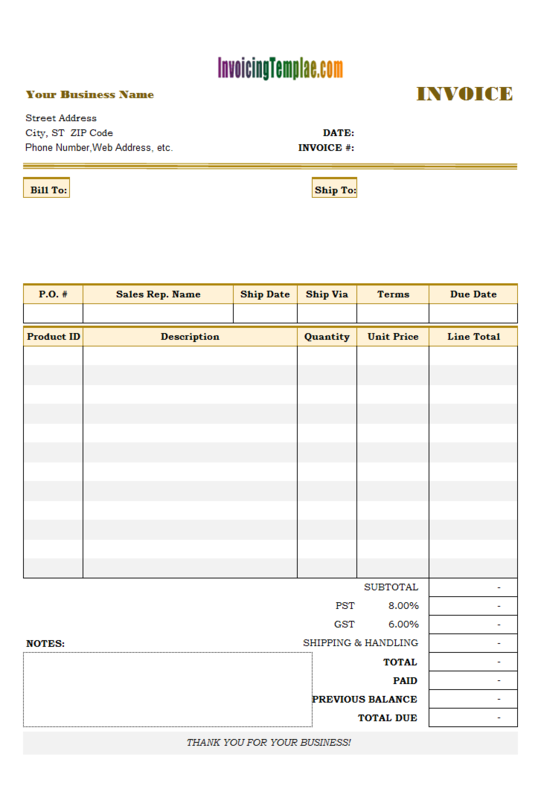 Without the item picking buttons, like what we implemented with cm003 Clothing Store (Manufacturer) Invoice Template with Size Breakdown, or the standard invoice template shipped with Invoice Manager for Excel (namely Uniform Invoice Software), you can use the "on-sheet picker", which appears when you click and select a supported cell. However there are users that prefer the static buttons. So with sample template, we look at how to add a button that allows you to pick customer. 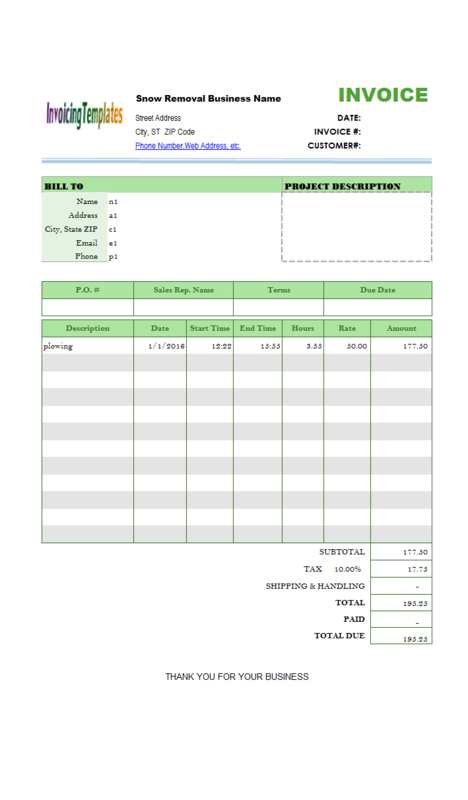 The default or standard invoice template shipped with Invoice Manager for Excel (namely Uniform Invoice Software) version 3 or earlier contains buttons on the worksheets, which are implemented using ActiveX controls. 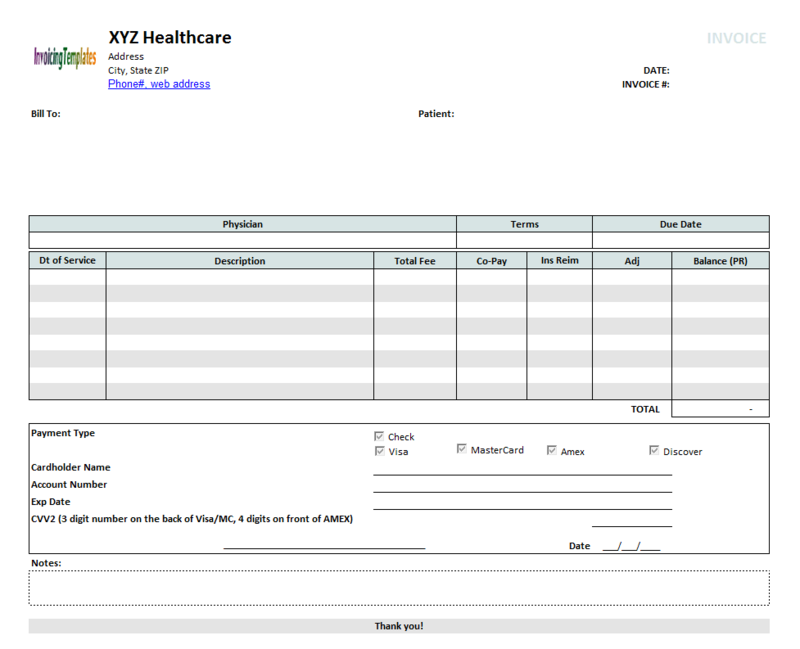 With version 4, a contextual task pane is added to each worksheet, which contains commands available to each sheet, and the ActiveX command buttons were removed from the default template shipped with UIS - however command buttons implemented with ActiveX technique are still supported. 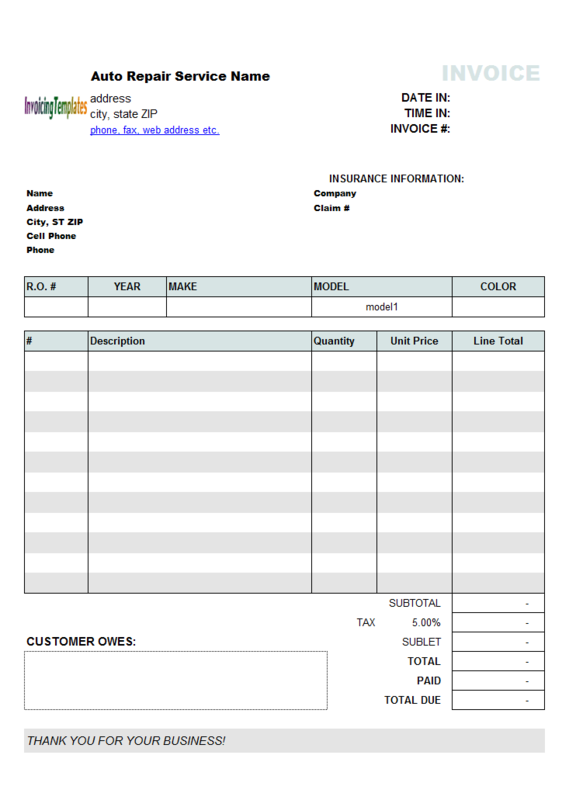 This free bill Format for landscaping Service was designed with an Australian business in mind. For this reason, it has one tax (GST at 10%) set on the bottom of the form, and there is also space for you to enter ABN#, etc. A service company provides transportation to various facilities and airports. These trips are billed to many corporate accounts. 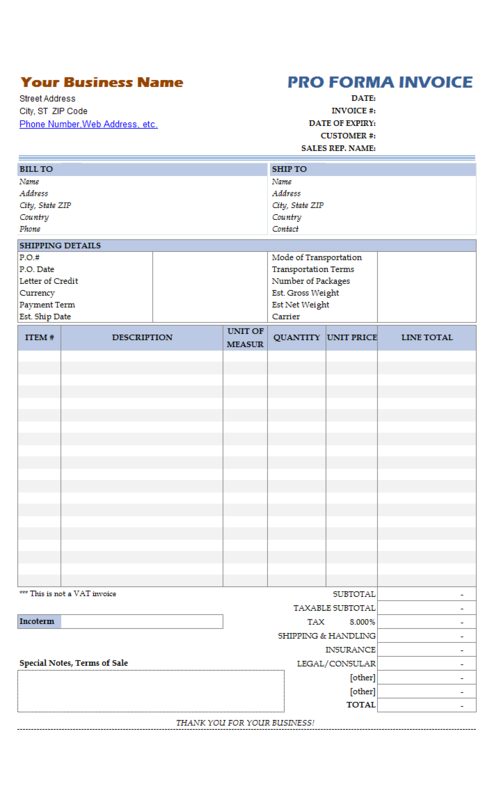 The invoice format or invoice layout implemented by this template is designed for such companies, and it also works for taxi/limousine service. Are you running a small business? 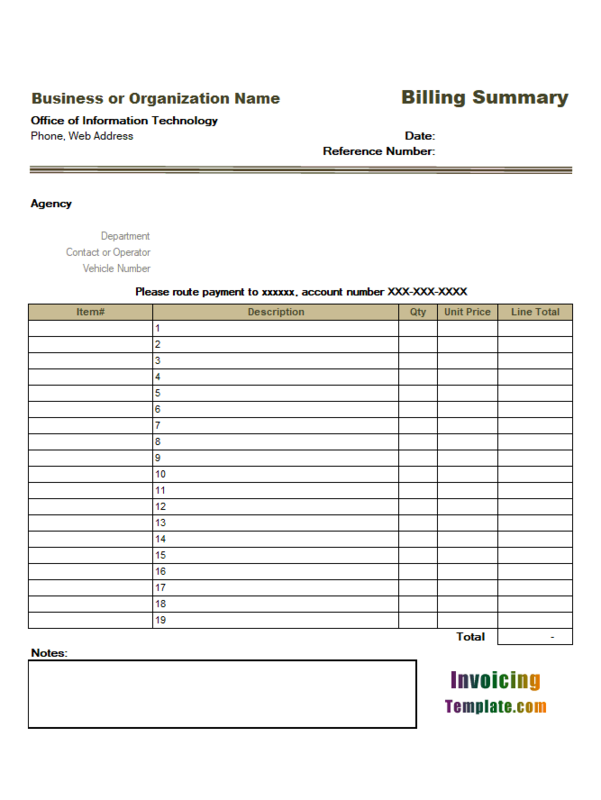 Download this business invoice template in black / red theme for free to bill your clients as easy as filling a blank paper form, or browse or template repository to find out your favorite design. 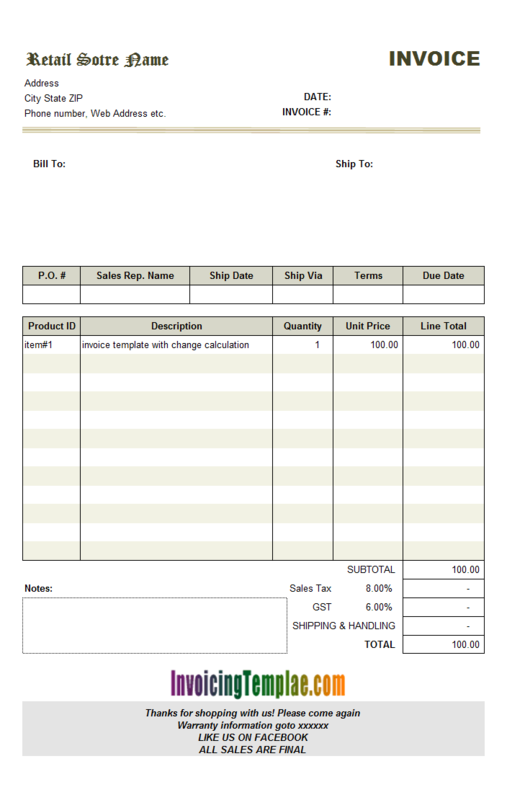 To do this, add a new line above the "TOTAL" line and name the newly added cell oknInvDiscount. Format the newly added oknInvDiscount cell as a percentage: right-click the cell and choose "Format Cells", choose the proper format from the Number tab. 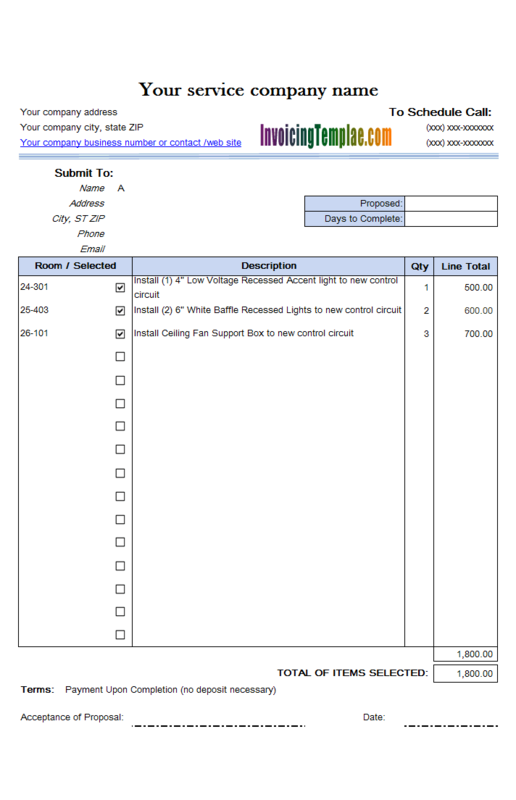 When an invoice is past due, you send a past due letter for collection. If the client has new purchases you can also include the overdue amount / previous balance in the new invoice to show the total amount due. 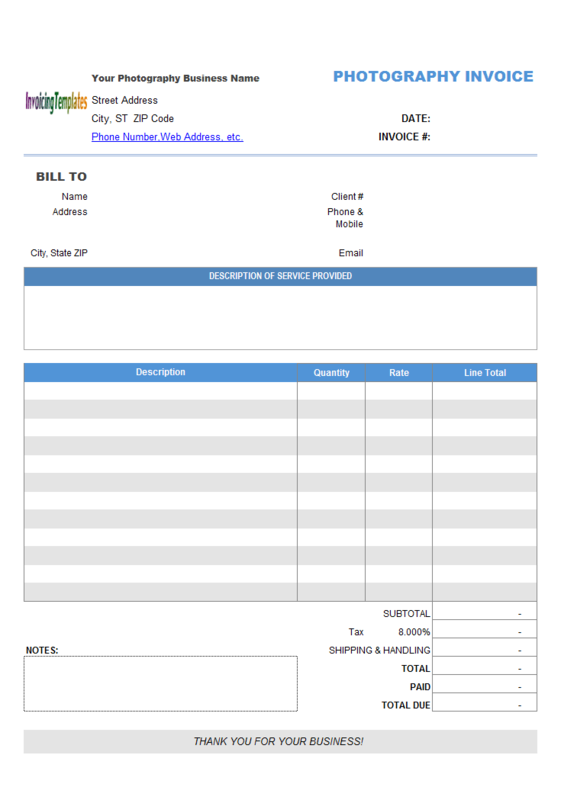 This blank overdue invoice template is printable with A4 paper. 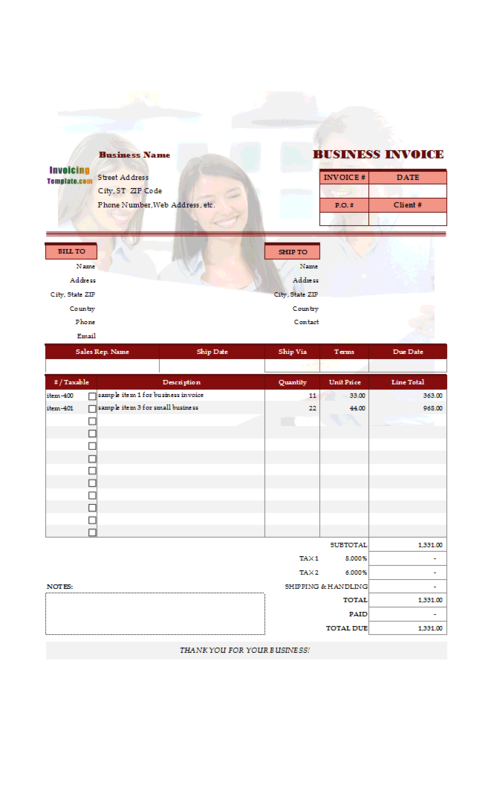 Most free invoice templates available here on InvoicingTemplate.com, along with the versions that work with Invoice Manager for Excel (namely Uniform Invoice Software), are designed with the similar color style. 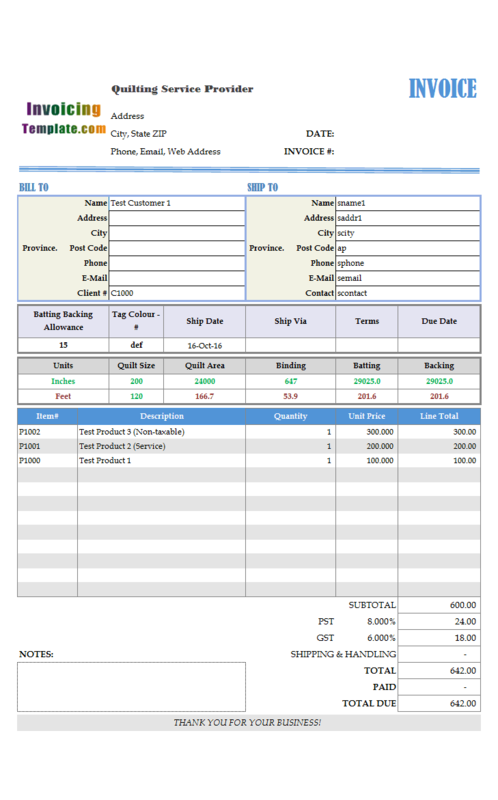 The secret behind this is simple – in the past several years we have created hundreds very different styles, but all the templates we created are based on the same sales invoice template, which is also the one that included in the installer program of Invoice Manager for Excel (namely Uniform Invoice Software).